The ever-so-lovely, intriguing and dreamy voiced Brooklynite, Lorely Rodriguez aka Empress Of, continues to sweep us off our feet with yet another pop gem, “Hat Trick.” The swirling new single can be found on Empress Of‘s soon-to-be-released (April) EP, Systems, via Terrible Records (US) and Double Denim (world-wide). 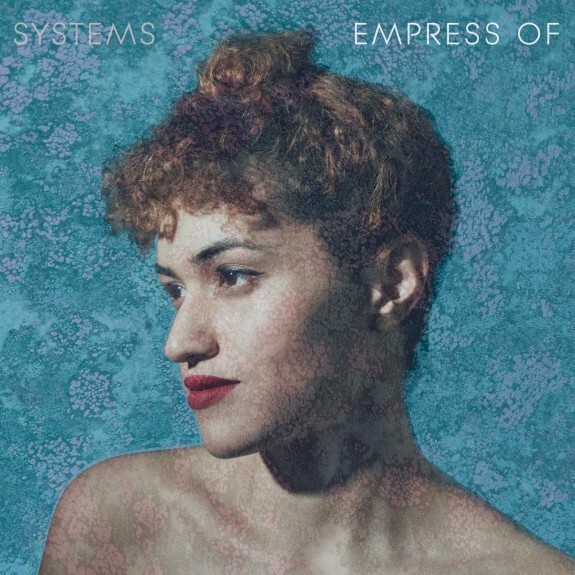 From her endearing debut 7″ featuring “Don’t Tell Me” and “Champagne,” to her “colorminutes” Youtube clips and curious Craigslist look-a-like website, Empress Of has quickly doused us all in a serious case of swoon. If you’re headed to Austin for SXSW, Empress Of (a must-see SXSW act) will be making the rounds, including a Gorilla vs. Bear & Yours Truly Showcase, at the Hype Hotel, March 13th. Otherwise, be sure to catch her while on tour with Jamie Lidell throughout March and April.